INTERDEM Masterclass: Would you like to participate in my study? As a researcher, the interaction with participants is one of the most important aspects of conducting a study successfully. Participants should feel comfortable during the project, confident to ask questions and talk about concerns. Optimally, the motivation to participate stays high during the whole project and the drop-out rate is low. But…how? 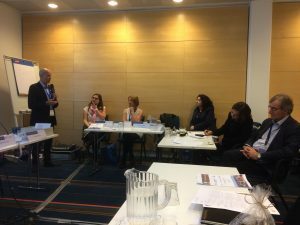 The Masterclass of the INTERDEM Academy at the 26th Alzheimer Europe meeting in Copenhagen focused on the topic of “Involving people with dementia as advisors to your research” – already the title made me curious to join the class as my research involves people living with dementia and their relatives. My PhD project “E-monitoring in people with early dementia” (funded through H2020 Marie Skłodowska Curie Actions and part of the Interdisciplinary Network for Dementia Using Current Technology INDUCT) aims to observe daily activities and mood in people living with dementia. Furthermore, we will conduct an intervention seeking to promote meaningful activities via a feedback technique to shift attention towards a positive affect, reduced stress and enhancing quality of life. But to conduct this project successfully it seems wise to include the experts – people living with dementia – and listen to their needs and thoughts. How do experienced researchers involve their participants and how can I apply this to my research? This years’ INTERDEM Masterclass gave me some insight into this topic. INTERDEM is a multi-professional group of researchers from all over Europe with the mission to develop pan-European research on early, timely and quality psychosocial interventions in dementia, to actively disseminate this and enhance practice, policy and the quality of life of people with dementia and their supporters across Europe and to place people with dementia and their supporters at the centre of European research and practice by actively involving them in developing these activities. 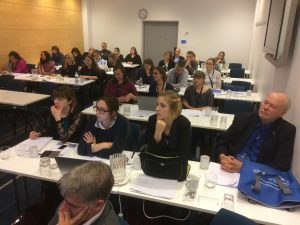 The INTERDEM Academy is hosting Summer and Winter schools as well as Masterclasses to reach the goals of INTERDEM to teach young researchers about dementia. This years’ Masterclass was opened by Dr Marjolein de Vugt and Dr Inge Klinkenberg, both working at Maastricht University, with welcoming words and an online question for all participants: Have you involved people living with dementia in your research? Everybody could vote in real time via a webpage and the results on the screen revealed that 1/3 of the people in the room already had some experience of involving people living with dementia in their research but thought that they could have done better. A few people were satisfied with the way they interacted with their participants in the studies while the rest have never conducted research with people living with dementia, but have plans to do so in the future. It was more than obvious that this Masterclass was relevant for all attendees. Therefore, the audience listened with great interest to the second speaker, Marco Blom from Alzheimer Netherlands, who introduced the Delphi method and the Strategic Research Agenda, which form the basis of an 8-year research program named “Memorable” within the Dutch Deltaplan for Dementia. Memorable ranks research projects based on the opinion and thoughts of family caregivers and people living with dementia – it makes sure that the research is not only of interest for the scientists but also fulfils the needs of people living with dementia and their relatives. We then switched from the Dutch view to activities in North Wales. Dr Catrin Jones, Dr Katherine Algar and Professor Bob Woods presented their work creating a Dementia Supportive Practice Network with the aim of sharing best practice to “make things better” for people living with dementia. Of special interest was the contribution of Chris Robert, a man living with dementia, and his wife Jayne Goodrick. Both Chris and Jayne experienced research as mostly positive experience and pointed out that it gives them hope. Join Dementia Research supports this positive view on research in the field of dementia with the #handouthope campaign aiming to connect interested participants with research via an online platform. Diana Schack presented her PhD work on how to plan research with people with early-stage dementia, how to train and support this population and how to interact and collaborate with them. 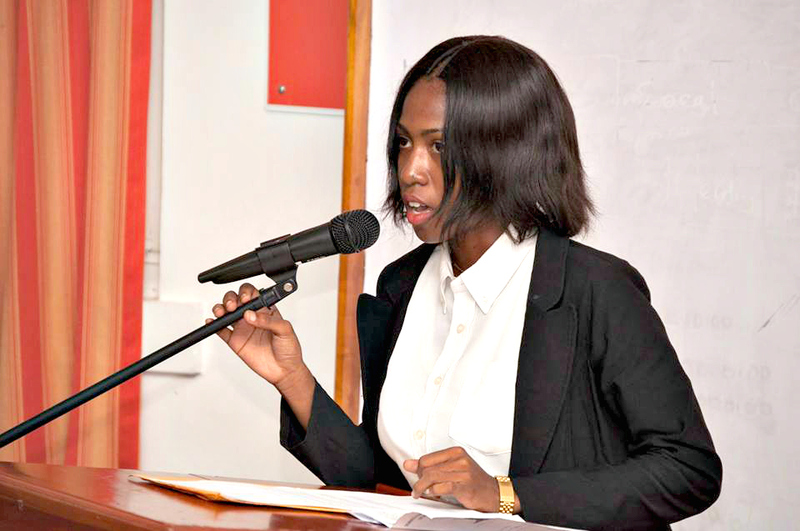 She developed a participatory research model which can be used to guide researchers in different stages of their projects. One aspect was especially outstanding: it is important to create a trustful, personal level in which the person with dementia feels welcome and comfortable. It is important to invest “this extra hour” to build an interpersonal relationship. Finally, Dr Dianne Gove from Alzheimer Europe and Helga Rohra, a woman living with Lewy Body dementia who has taken part in research multiple times, held a joint session. Dr Dianne Gove provided an overview of work at Alzheimer Europe and the ways they involve people living with dementia in research. Helga Rohra is the first chair of the European Working Group for People with Dementia. One take-home message from Helga was that people with dementia should be involved in the whole process of the study– as people with dementia are the ones to teach us about their situation and needs, not the other way round. At the end of the seminar, the audience could ask questions and get direct feedback from the speakers. Individual project-related concerns came up and in the familiar atmosphere, the speakers took their time to answer each and every one of the questions with personal advice. I am more than glad that I was able to take part in this workshop and I am especially thankful for Alzheimer Netherlands who supported me with a travel bursary. This INTERDEM Masterclass revealed new views on research in the field of dementia, it stimulated my thoughts and increased my knowledge. My first action will be to plan a get-together with people with dementia in my region to present them my research ideas and ask for their opinion and thoughts about it, BEFORE I start taking any further steps. Maybe I am missing out on some details that I cannot see from my perspective. In this way, I will be asking the experts in the field of dementia – the people living with dementia.